Flipping a coin is gambling in the simplest and purest sense. While the odds are always the same, what’s at stake usually varies. How does this affect a hockey player? Heads: The talent is undeniable; you have the ability to make the audience stare in astonishment over your canniness. An outcome can solely depend on your contributions. Tails: Each shift becomes worse than the previous. Your coach is wondering what is going through your mind and when this night will happily end. Welcome to the life of an enigma. These are the players who can create highlight reel moments or unpleasant experiences in a fraction of a second. Our list won’t target the oft-injured players (Marian Gaborik, Martin Havlat, Tim Connolly and Rick DiPietro all breathe a sigh of relief simultaneously). My picks have good health but seem to struggle with another aspect of their game: consistency. And they have habits of leaving you wanting something more. Side note: those expecting or hoping to see Nikolai Zherdev will be saddened as he is out of my jurisdiction and in the KHL. They are the good, the bad, the enigmas. “Shoot the puck” is the phrase that often exits the mouths of Oilers supporters when Hemsky is in a position to fire away. This Czech native can go on runs of seven-eight games with or without points. An impudent skater who can keep the puck glued to his stick before unleashing a dead-on pass, Hemsky’s level is just below the group of elite. If Edmonton were to offer Hemsky to Los Angeles to shake things up, they’d likely receive Frolov in return. He too passes up many shots and can vanish for large stretches but has totalled 197 points in the last 230 games with the Kings. With size and reach, Frolov is an impact winger who can break free from the tightest areas with the puck before beginning an offensive rush. Unlike the previous two forwards, Prospal’s struggles last an entire season. The bright side is that he’s shown his sharpness in being able to respond the following year. A veteran of 12 NHL seasons, he sees the ice well and finds the open man consistently. Prospal is an intense player who doesn’t hide from a challenge, so his work rate can’t be questioned. New York activated their option to buy him for a paltry $1.1 million; a small risk that can turn into a massive benefit. Between the pipes we begin with a goaltender who can certainly earn his squad a playoff berth. However, Biron won’t steal you many games or make a coach believe this is someone who can rise to the occasion in the postseason. He was tolerable on a well-built offensive Philadelphia Flyers team. Enjoy Long Island Marty because the forwards there won’t give you many leads to work with. After erupting with 77 points in 2006/2007, the 30-year-old has taken a drop in goals, assists, points and plus-minus. Huselius doesn’t have the look of someone intense who desires victory and nothing less. His 212 shots were a season high, yet he found just 21 goals in his debut year with Columbus. Shifty with tremendous playmaking smarts, Huselius still possesses plenty of assets to threaten defenders. I’m still wondering why the Frenchman left Washington in 2008 because he arguably played his best hockey there albeit for a short string of games. 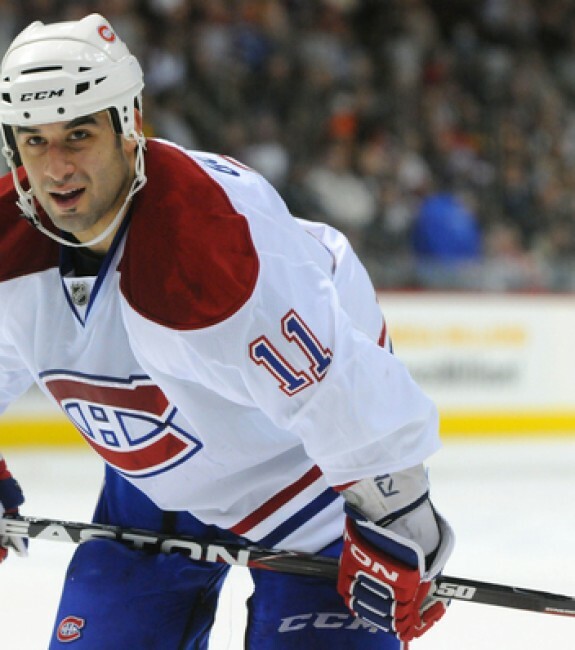 He doesn’t get rattled in the massive moments as shown by his stellar play in Montreal. Although Huet is a sound positional goalkeeper, Nikolai Khabibulin was Chicago’s starter throughout this past season as his competition never quite settled in. With the Russian now in Edmonton, Huet finds himself with a chance to reinforce his reputation. Coming off his first two 50-plus point campaigns, Antropov is beginning to find his groove as an NHLer. But he had a stretch of 16 games without a goal in Toronto before his move to New York. While he has flirted with 30 goals recently, the 29-year-old should finally reach that mark in Atlanta especially if he’s a linemate of Ilya Kovalchuk’s. We’d still like to see better use of his large frame physically and more speed from his feet. Lupul has had a chequered career since entering the league: he broke-out in Anaheim, hit rock bottom in Edmonton, competed respectably in Philadelphia and now returns to where it all started. 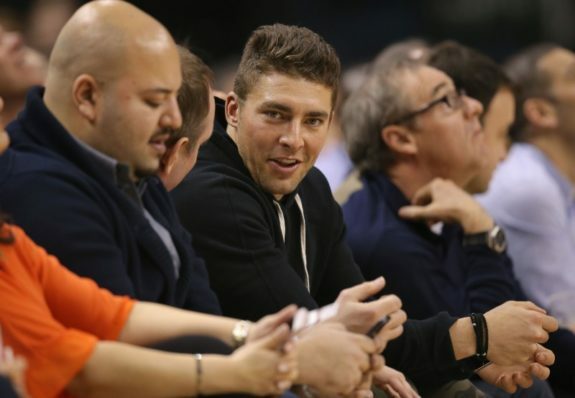 For every hot streak Lupul creates, he seems to nullify it with a cold one. A creative player with a scorer’s mentality, the top-six corps of forwards will always feature his name but he may never hit first-line status. Nashville’s first ever draft pick is usually prognosticated to achieve 40 to 45 points. Legwand’s best year came in 2006/2007 with 27 goals, 36 assists and a plus-23; what the Predators expect from him annually. But Legwand has hit the 20-goal plateau only twice in his career. With his awesome footwork, scoring and offensive flair, it’s time for that to change. Entering his fifth season, Lombardi has excelled in penalty killing and winning face-offs. Agility like his needs a sound scoring touch to complement it. He never truly reached the level he wanted to in Calgary. Phoenix could be his opportunity to surprise everyone because of the team’s expectations that are low and…low. Raise your hand if you made $18 million dollars over the last two years. Now raise it if you’ve earned such tremendous pay—not so fast Scott Gomez. Although he is a non-stop supply line of chances with his passing, the lack of goals doesn’t sit well with too many folks. Habs fans won’t settle for anything less than a point per game from a player who’s ridiculously overpaid. I don’t have to tell you what will happen if Gomez upsets them. Everything Kovalev does on the ice is in a cool demeanor—that includes the days where he seems more concerned about the flight out of town than the match itself. It’s difficult to bench a player who has a set of offensive skills which can force a silly gaffe out of star defenders instantly. His gratifying stick-handling and deafening shot are bound to add an extra dimension to Ottawa’s attacking options when he’s in the mood to play. To his credit, Samsonov has picked himself up with 80 points in 119 contests thus far in Carolina. Renowned for his speed, trickery and creativity, the Russian has responded well in his new home. Samsonov won’t likely return to the form he carried in Boston, but he’s shown he can still compete at the highest level which in itself is an accomplishment. The size and mobility that Lehtonen prides himself on is spectacular at times. Granted, he hasn’t been secured by a Hall of Fame defensive corps but too often he’s been the opposite of what his potential reads. Lehtonen must keep his focus and health on target before another sub-par year further corrupts his career. New York sure pounces on every chance to sign a head-case don’t they? A question to ask yourself is how come Kotalik has never scored 30 goals in a single year given that he has the size and shot to do so. The answer is pretty straightforward: fighting for the puck doesn’t interest him. Someone else must do the dirty work and send a pass to Kotalik for a one-timer. A lot of those darts still go wide of the target. In the top 40 of defensive points and tied for fifth in goal-scoring this year, Babchuk has a shot which can boost a team’s powerplay in a hurry. Here’s an interesting statistic: of his total 35 points, 25 came after Jan. 19th. Where was he for the first three months or so? The postseason was troublesome for him with one assist, 13 games and five healthy scratches. Moving on, we see a guy who has been in cruise control since winning a Stanley Cup with the Ducks. Large in size and disappointment, Penner’s only involvement with hits is when the media bashes him for appalling performances. Pat Quinn’s up-tempo, possession game has a chance of suiting Penner but it’s up to him to make a great first impression on the head coach. 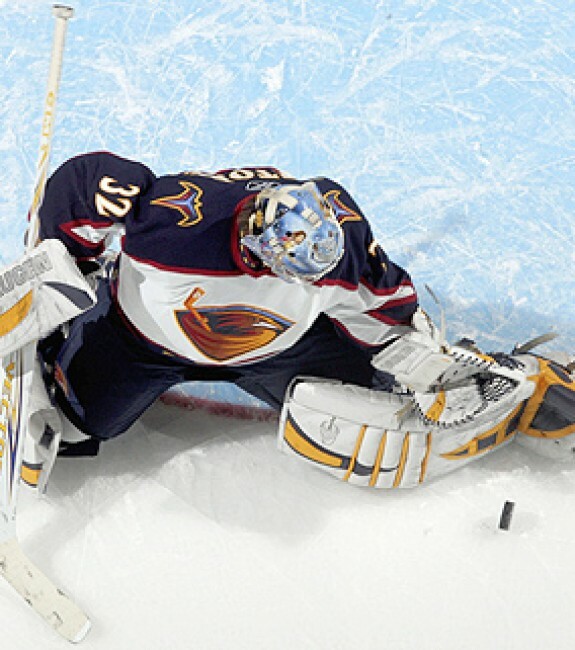 Afinogenov has been a product of the Buffalo Sabres his entire career; a trademark set to discontinue. As an unrestricted free agent, Atlanta invited him to training camp following Zherdev’s rejection. Whether they get the Afinogenov who totalled 134 points in two seasons or the guy who mustered just 48 in the other two is undetermined. A change of scenery may bring back Baby Bure. It’s been a quick decline for Arnason over the past three seasons. I think an injured Paul Stastny received more attention in the stands than his teammate did on the ice. A three-time 40-point man (believe it or not), there have been no hints of a comeback to mediocre play for Arnason. To a certain degree, it can’t get any worse for him, can it? Foolishly, fantasy hockey folks regularly take Cheechoo late in a draft believing he will somehow regain his form. For logical people like myself, he’s a calamity waiting to happen. This 29-year-old won the Joe Thornton is my center lottery Rocket Richard Trophy in 2006 with 56 goals. That title is the single instance he will ever be mentioned in the same breath as players like Vincent Lecavalier, Alex Ovechkin and Jarome Iginla.